Rooftent.co.uk | All roof tents under one roof! Enjoy the abundance of freedom you get with a roof tent. With a roof tent, you can go practically everywhere. 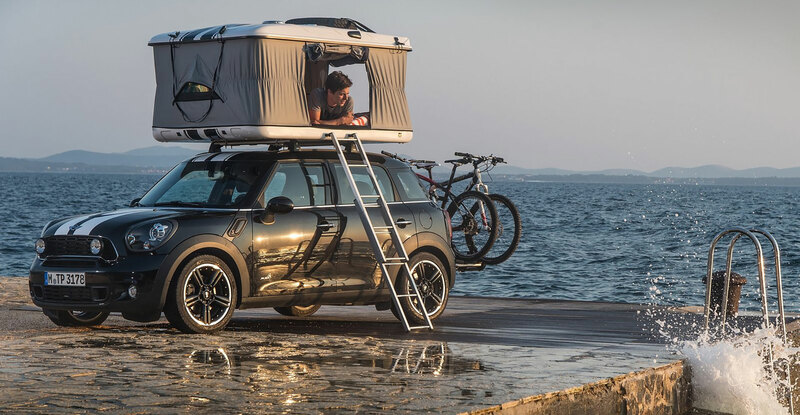 It might be your car holding you back, but the roof tent certainly will not! That being said a roof tent will fit on almost every vehicle. Regardless of whether you have a passenger car, SUV or off-road. It might also be possible to mount a roof tent on your trailer. If you don’t own a trailer, but it is something you want, you can also buy a roof tent trailer from us. You set up a roof tent in no time and the mattress – usually plagued by stones or stumps underneath – comes with it. This way you will save lots of luggage space, and gives you the ability to make the car your camper. You will find the roof tent that is suitable for your car through our service guide, this will get you started quickly. Depending on your wishes, you can come and see your future roof tent in the most extensive roof tent showroom of The Netherlands in Baarn (UT). We usually have all the models that we offer on display, but it is wise to check in advance. Customers are often so enthusiastic that they do not leave without a roof tent, and sometimes that is one of the showroom models. The cozy showroom of Rooftent.co.uk is the place to be inspired by everything to do with roof tents. 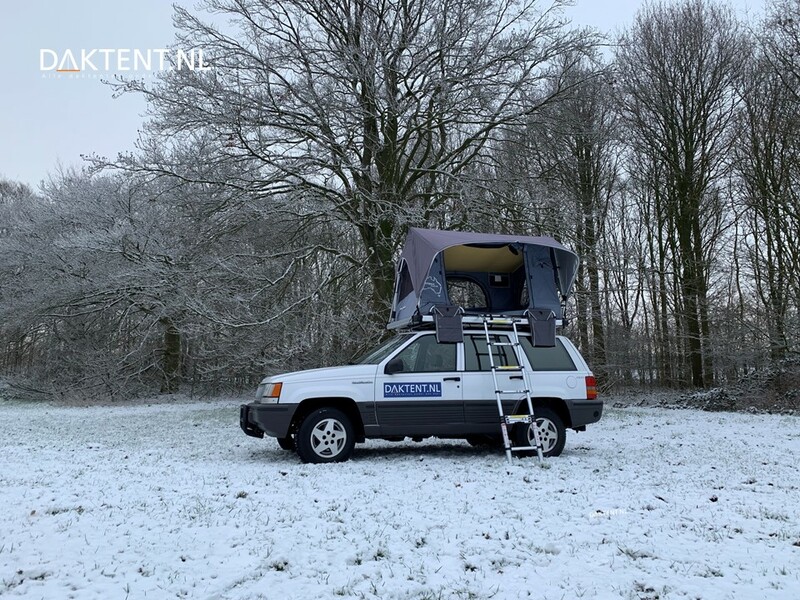 You are welcome to visit and view the roof tents at our location in Baarn. Check our opening hours or make a personal appointment. The stock is variable, so if you are looking for a specific model, please call us if we have the model on display. Thanks to our years of experience you will always get expert advice, even on purchasing and correctly mounting roof racks. We also install roof racks on location free of charge. Don’t have a lot of spare time and already know what roof tent fits your needs? You can also order online at our webshop! 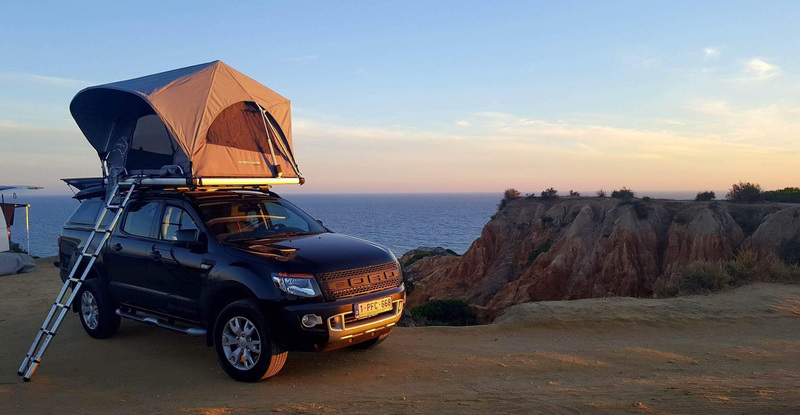 Roof tents are often associated with 4×4, safari trips, however, roof tents are an ideal solution for every camper and fits almost every vehicle, passenger cars, vans, pick-up trucks, and trailers. 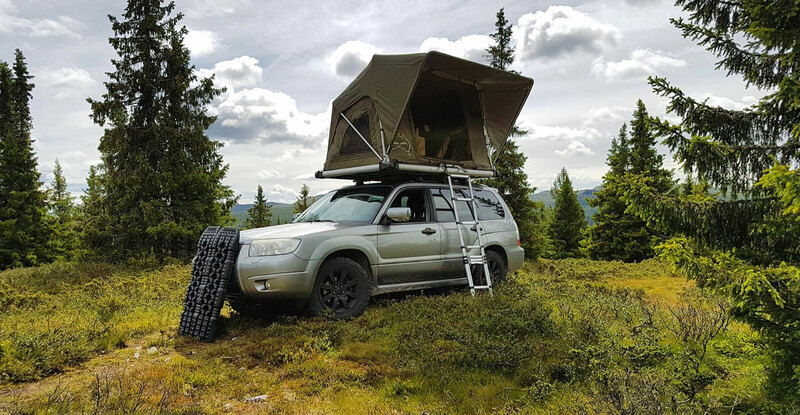 A roof tent is suitable for every vehicle. There are many different brands and models available on the market; the right roof tent for every situation. View the photos on our website and compare the various models. Curious if there is also a suitable tent for your car? Contact us or come to the showroom in Baarn (located near the A1/A27). Check our opening hours. Which roof tent fits your car? 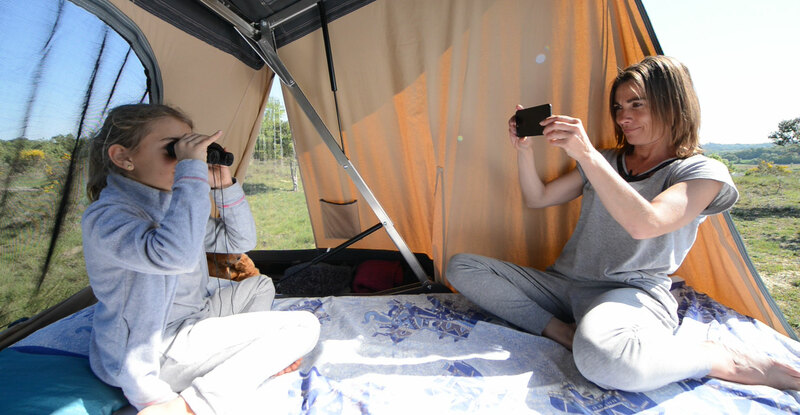 Want to experience the benefits of a roof tent? Are you in doubt which roof tent suits your car best? Do you want to try before you buy? 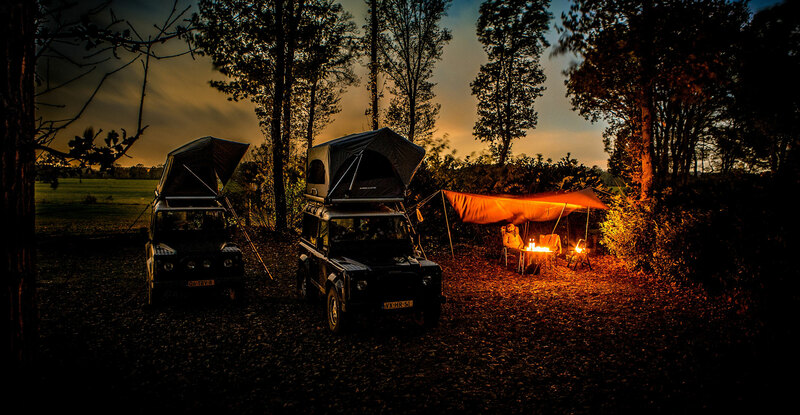 We rent out practically every roof tent from our extensive collection of roof tents. Rent a roof tent through our roof tent rental website Daktenthuren.nl and experience if a roof tent is something for you. The rental prices include professional installation by us. Why do things the hard way? If you decide to buy one from us after renting a roof tent, you will get a discount on the purchase. We like to inform you about the conditions of this attractive offer. At Rooftent.co.uk you are at the right address for roof tent sales, rentals and trade-ins. “Dit is een super wijze van tentvakantie. Geen moeite met opzetten heerlijk comfortabel slapen. Het inklappen is zo simpel, nog geen 5 min en je bent weer weg. “Marcel en Maarten werken heel professioneel en hebben echt verstand van daktenten, ze vertellen je alle ins & outs voor onbezorgde trip. Don’t have storage space for your roof tent? No problem! At Rooftent.co.uk we can store your roof tent in our heated and secure warehouse. If you want to get rid of your used roof tent, you can also do this at Rooftent.co.uk. We can put your roof tent in our showroom and add it to the collection of our webshop. Contact us for the possibilities. Roof tents are not only suitable to be mounted on a car. By making some small adjustments to your trailer, it will also fit a roof tent. Rooftents.co.uk often converts trailers, so if you already own a trailer, there are several options to convert it into a roof tent trailer.